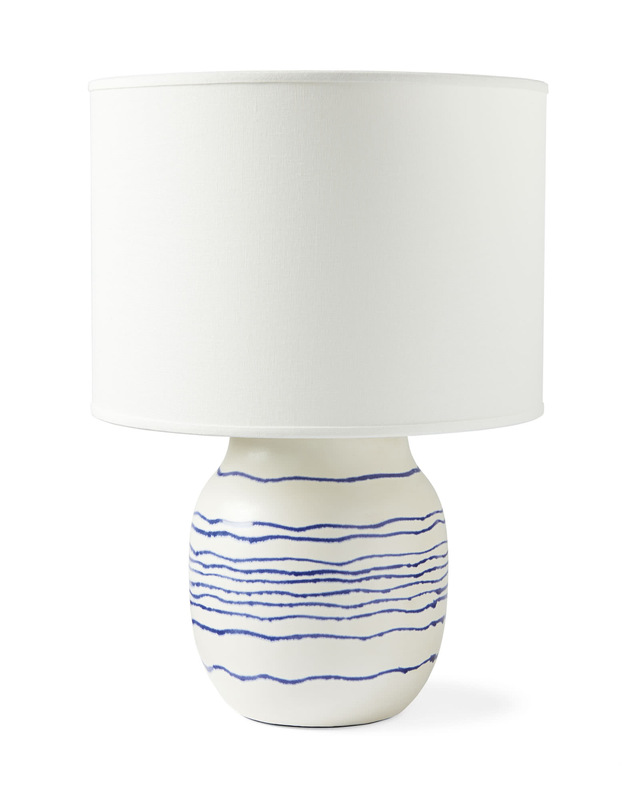 Lagoon Table LampLagoon Table Lamp, alt="Lagoon Table Lamp, "
Estimated ship date is 7/14/2019. Print A fun accent that doesn’t overwhelm. 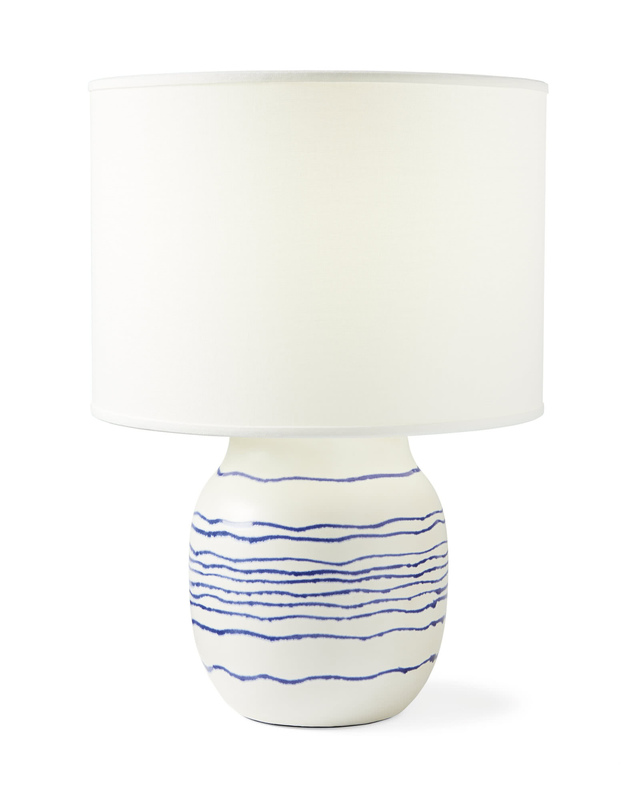 We love the handpainted, loose lines that pop brilliantly against the white base. 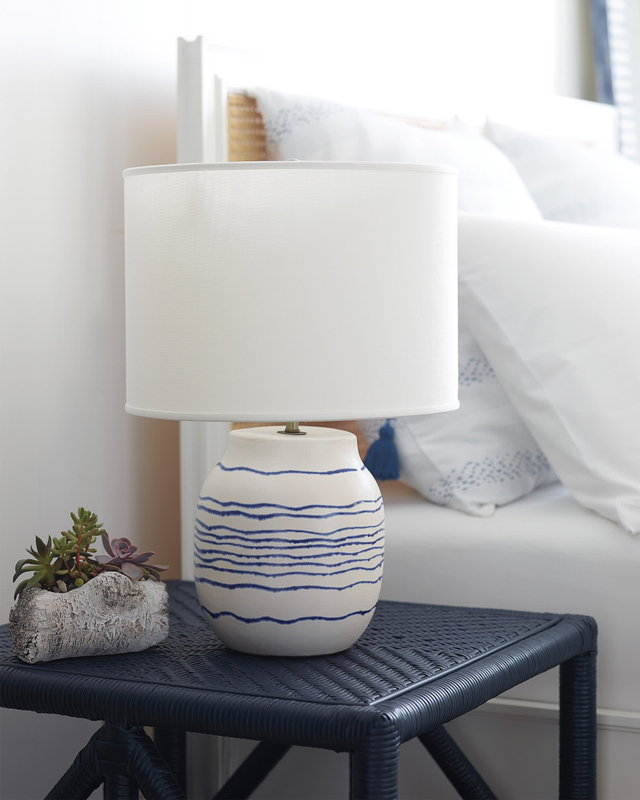 Petite in size, it’s perfect bedside or wherever surface space is spare. 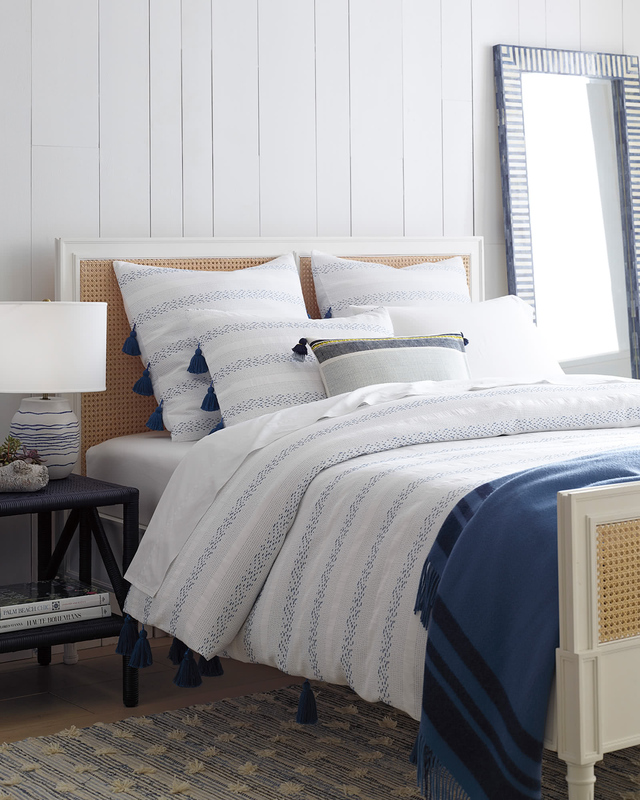 And because it’s made by hand, each design is truly one-of-a-kind.